Spartak Moscow announced the signing of Algerian playmaker Sofiane Hanni, and for a brief moment, there was excitement among Southampton fans on Twitter. The quick conclusion was that Hanni had been signed by the Russian champions to compensate for the immediate departure of Dutch star Quincy Promes. But while fake accounts and media scrambled to get the announcement of Promes’ transfer to the English South Coast ready, Promes continued to prepare for Spartak’s second half of the season at the club’s training camp in Marbella. In fact, Spartak’s official Twitter account was busy showing pictures of Quincy Promes taking photos with fans and having fun with his teammates. It now appears almost a certainty that the Dutch winger will stay and that unlike propagated by English accounts Sofiane Hanni was not brought in to replace the Dutch forward but to further supplement Spartak Moscow’s attack. It is a good thing too because Sofiane Hanni is a very different player from Promes. Born in the outskirts of Ivry-sur-Seine in France the 27-year-old plays for Algeria and is a youth product of Nantes where he played until 2011 before making a name for himself in Turkey playing for the likes of Erciyesspor and Osmanlispor. When it comes to describing Sofiani Hanni’s one can almost draw a parallel to Bayern München’s Frank Ribéry. Like Ribéry Hanni failed to make an impact at his French youth club and then went the unorthodox route via Turkey to achieve his significant breakthrough. Of course, Hanni’s career has not taken the same heights than Ribéry’s yet, and there is a gulf of talent between the two players. The parallel, however, is interesting regardless, because it shows that Hanni, like Ribéry, had to go the extra mile to achieve his goals. Moving to the Turkish second division to Erciyesspor Sofiane Hanni, in fact, took a massive risk. But once in Turkey the attacking midfielder blossomed scoring ten goals and seven assists in 2011-12, four goals and 16 assists in 2012-13 (for Erciyesspor) and eight goals and 14 assists in the 2013-14 season (for Osmanlispor) before being scouted and signed by Belgian side KV Mechelen. Moving from Turkey’s second division to the Belgium Jupiler Pro League took some adaptation for the technically gifted player. But Hanni managed five goals and five assists in 2014-15 helping his club to stay in the top flight. 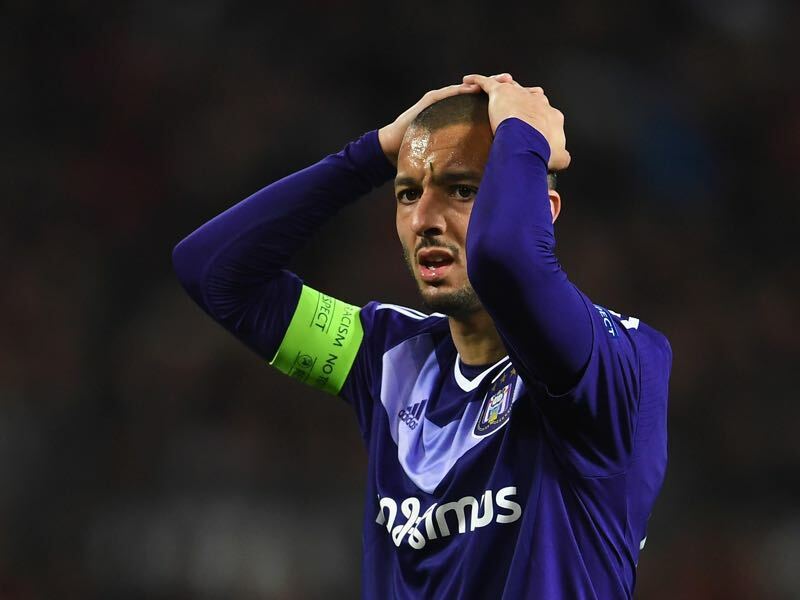 The following season, however, his stats went through the roof scoring 14 goals and eight assists for Mechelen during the 2015-16 season earning himself a move to RSC Anderlecht. Now playing at Belgium’s biggest club, Sofiane Hanni has not stopped scoring. Last season he scored eight goals and ten assists and this year he has already scored eight goals and six assists in 23 games. He also has experience of playing in the UEFA Champions League where he scored on one occasion this season. His career has undoubtedly skyrocketed from the depths of Turkish football to the very top of Belgium football and now with a move to Russia’s record champion Spartak Moscow. In between, however, Sofiane Hanni has also been part of the Algerian side that qualified for the 2018 FIFA World Cup that will take place in Russia next summer. 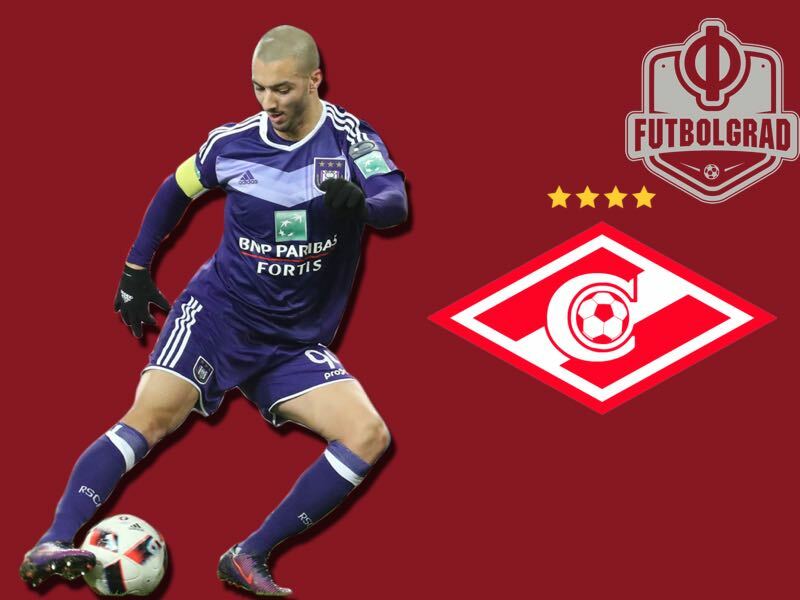 With ten goals and four assists, Sofiane Hanni will now get an in-depth look at the Russian game before Russia hosts the world’s biggest footballing stage next summer. The question that Spartak fans will ask, however, is: what kind of player are they getting? Well, that is where the comparison with Ribéry comes in once again. Hanni is a player that has excellent skills on the ball, who likes to tribble and challenge defenders in one-on-one situations. Unlike Ribéry, however, Hanni prefers to play in the centre right behind a nominal striker, which will make him the perfect replacement for Ivelin Popov, who is expected to leave Spartak in the long-term. Sofiane Hanni joins the Nikola Maksimović as the club’s latest signing (Image via Spartak Moscow). Playing at the centre of the pitch with an eye of breaking forward whenever possible Hanni will be a great addition to the frontline. But he is by no means a Promes replacement. The Dutch forward likes to come off the wing and if anything would have been replacement by an additional signing should he leave Spartak. 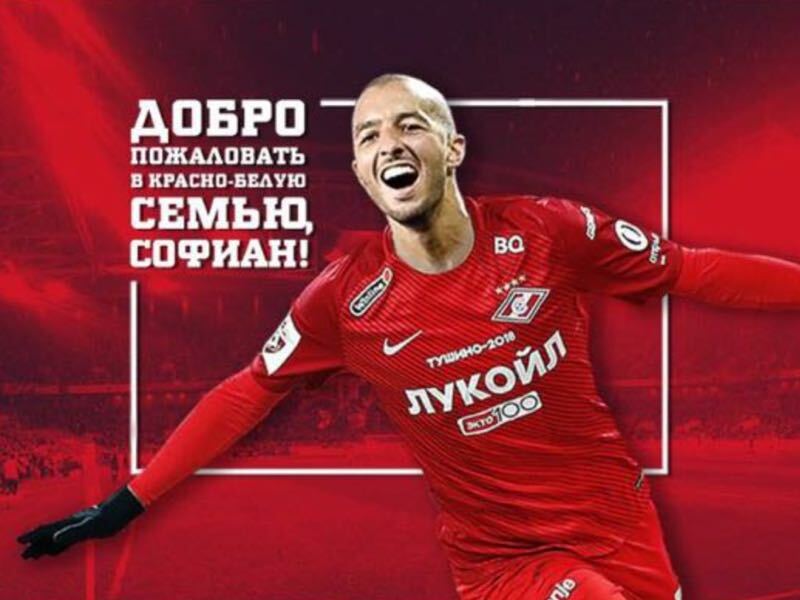 Sofiane Hanni now joins Nikola Maksimović as Spartak’s second signing of the winter transfer window as the Russian Football Premier League club is trying to push for a top-three finish that would secure Champions League football once again at the Otkrytie Arena. Whether the signings will be enough to push for a title remains to be seen, however, after all, there are just ten games left in the season, and with Lokomotiv, eight points ahead of Spartak the title race could be already over.